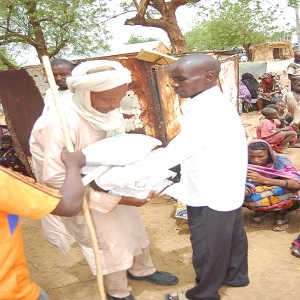 As part of its support to restore normalcy to displaced farming communities in MMC, Kaga and Konduga Local Government Areas of Borno State, CRS launched the 2017 farming support which provided 6000 packets of assorted feed and 2000 assorted vegetable seeds preparatory to the 2017 farming season. Consequently CRS engaged the services of 12 civil society organisations to facilitate the implementation of the above project. Kanem Borno Human Development Association (KABHUDA) happens to be one of such organisations. Following a CRS conducted training, selected organisations began implementation by the 1st week of May, 2017 and continued up to June, 2018. So far, KABHUDA has distributed over 3000 packets of assorted seeds to 1600 households in Muna, Benisheikh, Simanti and Gubio towns of Borno State. The project has been extended to September, 2018.